Illinois, the Land of Lincoln, is one of the highly populated states of the nation. The jazz and blue culture of the state is also vividly famous and enjoyed in the nation. When it comes to revenue generation and GDP, the state is driven by the agricultural sector, manufacturing sector, services and tax collections. Chicago, the lively city, is also the part of the Illinois state, which is the home to various museums and professional sports teams. 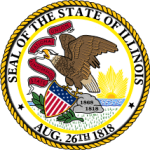 The Illinois state has shown positive growth in almost every sector from past many years. What is the purpose and mission of the Illinois State Board of Nursing? Illinois Board of Nursing is the active council that administers and regulates various nursing laws and rules in the state. Every State Board of Nursing has a common goal and focuses solely on development and standardization of the nursing programs in the state. Betterment and advancement in the levels of various medical and healthcare services is the motto which is being followed by Illinois State Board of Nursing. The licensing and certification of the various applicants is also done by the Illinois State Board of Nursing. The Board keeps record on various issues and topics in its archives and provides valuable information on various topics. The Board also updates about any amendments made in the nurse practice act and nursing laws in the state. Orientation of the training programs and enforcement of the nursing policies is also essential. The Board also acts against any violation to Nurse Practicing Act and Code of Conduct made by any professional. It is also held responsible for evaluating the performance and standardization of nursing programs and medical facilities in the state. The state has high number of medical facilities and rural clinics. The health care industry is a major contributor to the economy of the state and generates more than 13% of the overall GDP of the state. With more than 10% employment share and nearly 200 hospitals, the health care industry in Illinois is one of the largest medical networks of the nation. Northwestern Memorial hospital is known for its service from past 15 years and well recognized for its staff and well skilled professionals. Illinois Board of Nursing has helped in maintaining the standards in certification and services. It ensures that the levels or standards of service are being met and high level care is being delivered through the various nursing programs in the state. All Board of Nursing - Made with ❤ for informational purposes.